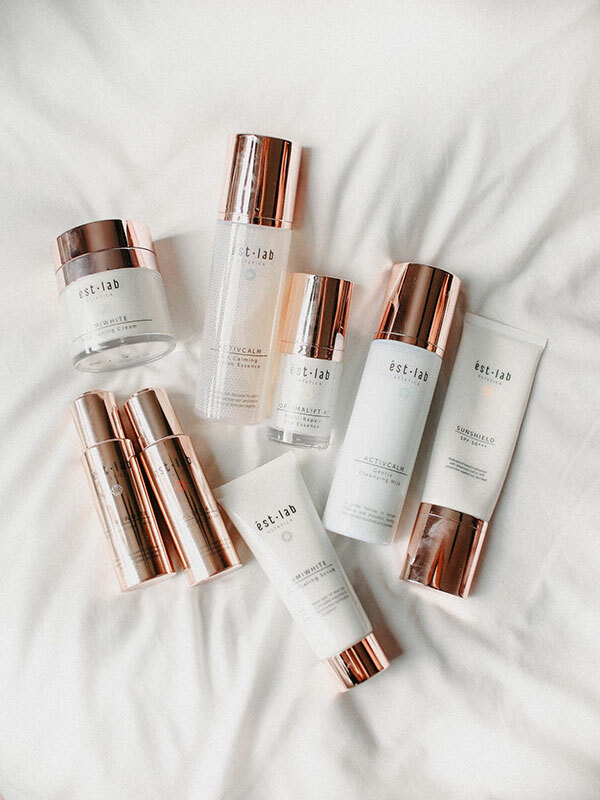 I love talking about skincare more than anything else, and finding a good local, home-grown brand just makes me feel so so proud that I have to share it! 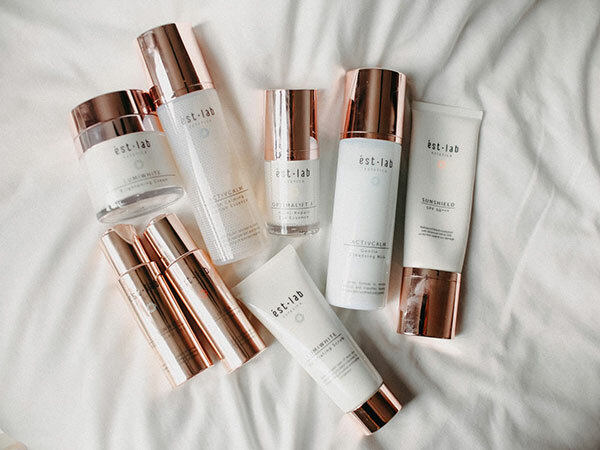 I’ve been using ést.lab for a few months now, I was first introduced to this brand when I got invited to Thailand for the ASNTM6 event and that was when I met the director, Han, himself and got to hear so much about the reasons why he created the skincare line and the work and research that has gone into it. 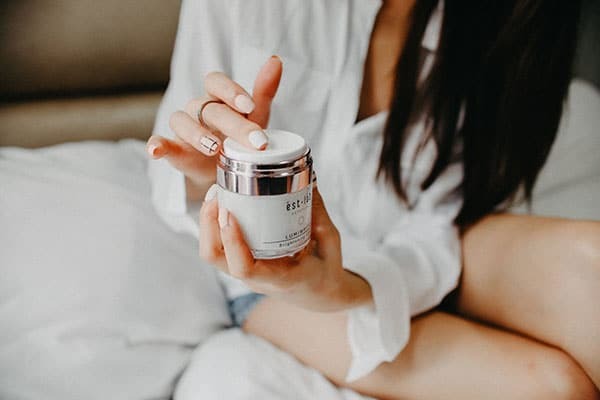 ést.lab was launched under their parent, Estetica , which we all should have probably heard about!ESTETICA has been one of Singapore’s leading beauty service for the past 3 decades and have been around for the past 38 years. Each of them in rose gold and white, I like how they not listen to the people that look for good and beautiful packaging. Comes in a pump dispenser, I love how this packaging type minimises the amount of contact the product has with the air. It also allows you to dispense just the right amount and avoids contamination since your fingers don’t get to touch the rest of the products. 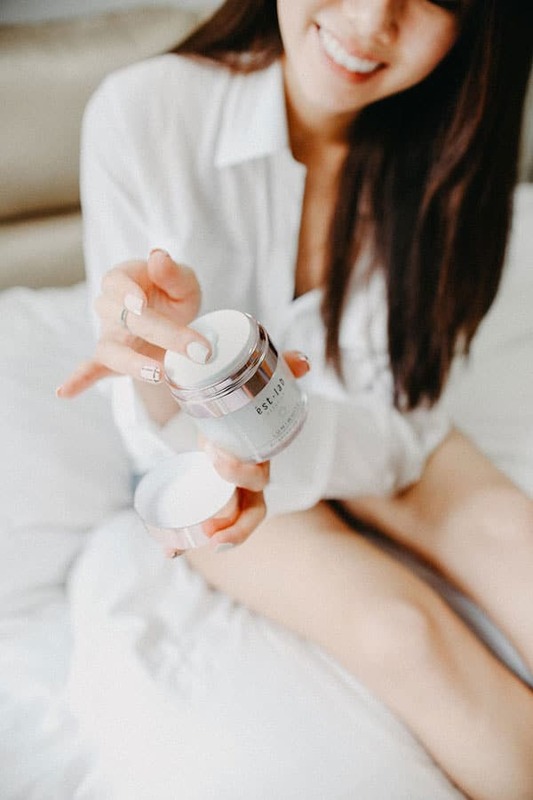 Lumiwhite Brightening Cream treats color pigmentations and uneven skintone, perfect for those who are always under the sun or has pigmentations on the skin. The texture of this is lightweight, and hydrating at the same time. 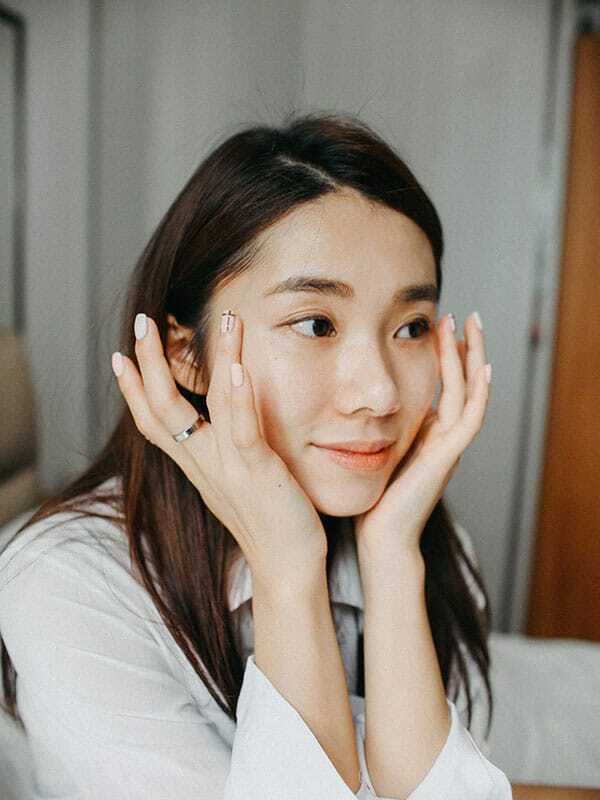 I also notice that it instantly brightens the complexion after application, for that effortless no makeup, makeup look. This range contains powerful anti-aging ingredients like OSILIFT®, SYN®-AKE, ARGIRELINE, ANTILEUKINE6, REPAIR COMPLEX CLRTM etc to help target fine lines, aged skin and sagging. I love that this serum is not rich or heavy at all! In fact it has such a watery texture that you forget it is an anti-aging serum. I love how it helps to prevent fine lines from worsening, and I also did notice much bouncier skin after using it for 2 months. 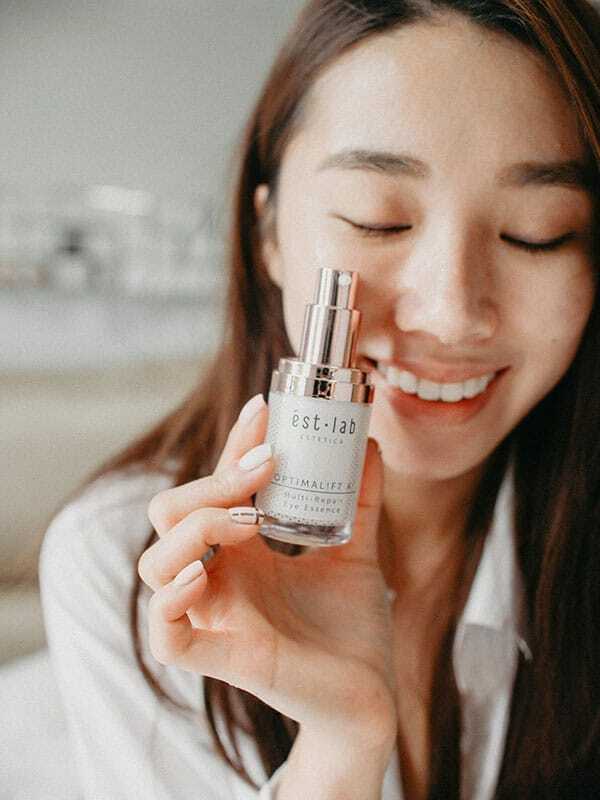 ést.lab also has a range specially formulated for dry, dehydrated skin – the ACTIVCALM range.This is their lotion essence which you use after cleansing! 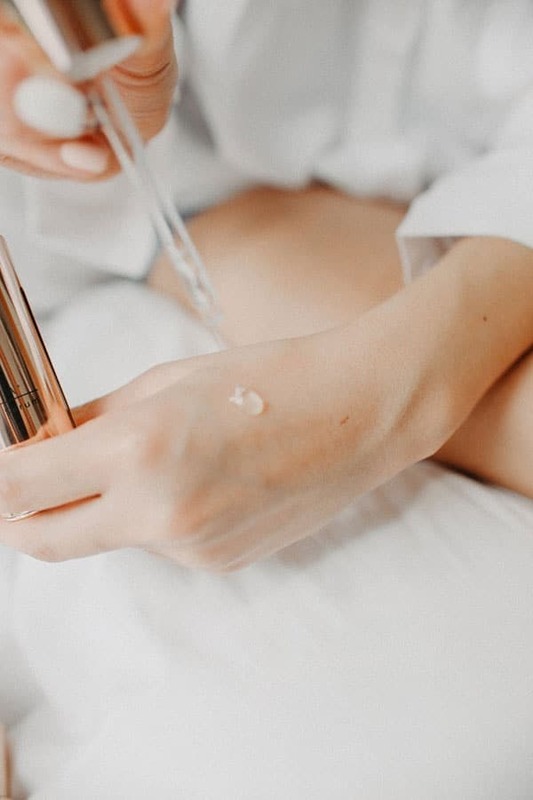 The consistency of this is slightly runny as well, but upon applying on the skin after cleansing, it’s able to deliver and replenish the moisture that the skin needs. This is one of my favorite products from this brand! 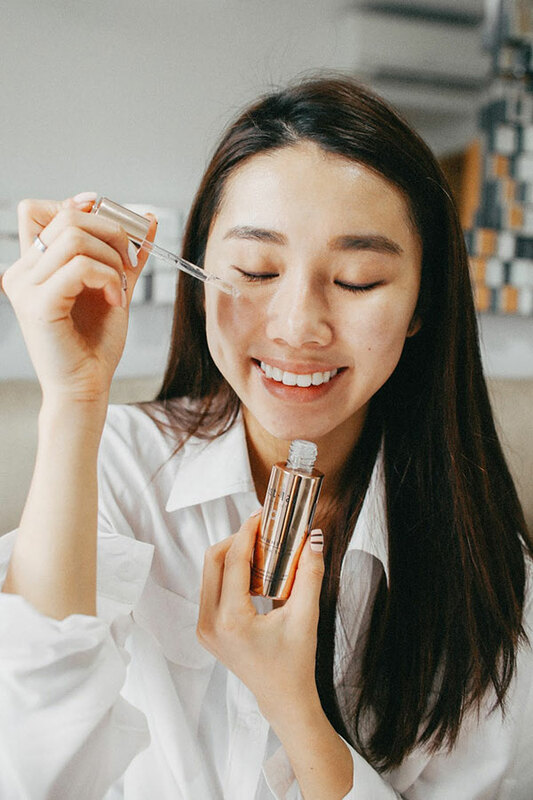 I love this eye essence because of its incredibly light texture – just right. Not too watery that you don’t feel hydrated enough, and neither is it too rich to give you the undereye oil seeds which I’m very prone to. Gently massage it all over the eyes and around the eye socket to keep it lifted and hydrated! 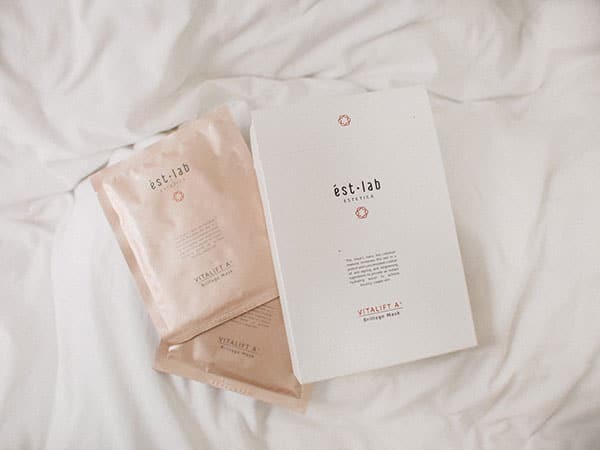 This is the newest addition to the entire skincare range and you guys know that i’m the biggest fan of using sheet mask (i try my mask at least 4 times a week) and I was honestly so so impressed with this! Soaked in biocellose sheets, this mask is so thin, which allows it to hug the entire face and awkward corners so well. I also loved that this mask is not messy at all, with just the right amount of quality serum in the packet. for skin smoothening, and ACTISOOTHETM for improved immunity. What you’ll be left with is bouncy, brighter skin in just minutes! Check out the video I did below to see it in action! Mutli-tasking sunscreen – this sunscreen is my ALL TIME FAVORITE product from this range, and easily one of my favorite sunscreens I own to date! This was also chosen as my top sunscreen choice of 2018, which you can watch the rest of my favourite skincare products of 2018 in this video on youtube. It’s no wonder why the Sunshield has won the hearts of many celebrities and awards – It has a color-adaptation technology that adapts to your skin tone and helps to instantly brighten up the skin, even out skintone and even conceal some flaws. 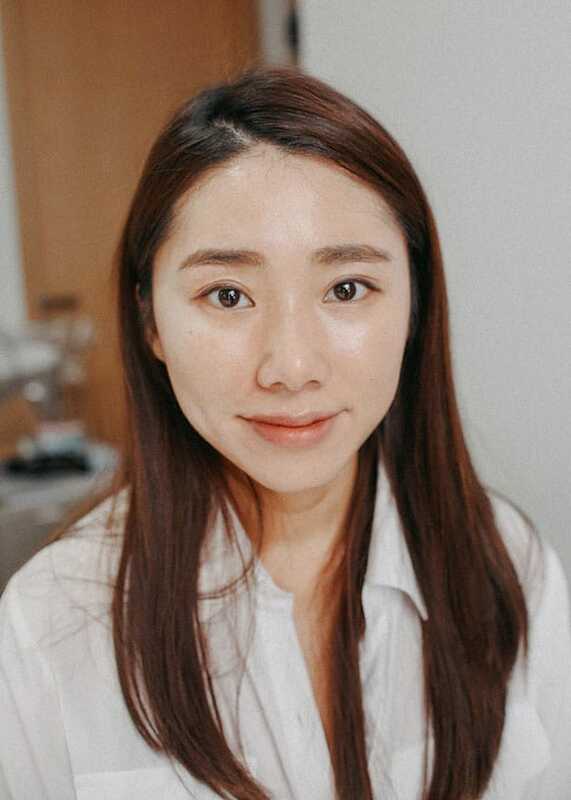 Extremely natural coverage that would go unnoticed with the naked eye, I love how it just gives me amazingggg complexion without trying too hard! With advanced UVA & UVB protection of SPF 50 ***, this paraben-free, water-based tintedsunscreen hydrating, and is able to protect the skin against harmful rays while allowing pores to breathe. The finish is also a semi-matte finish, making it perfect for all skin types. Left (without Sunshield) , Right (with Sunshield)Can you see the slightttt difference? I did a simple GRWM for that natural no-makeup makeup look on youtube a few months back, you can watch it below! Cart out with “Mongchin20” for 20% off your first purchase!